Mr. Vivek Sood, the Chief Executive Officer (CEO) of Telenor India, has been appointed as Executive Vice-President (EVP) and Chief Marketing Officer of Telenor as part of changes made to its executive management structure by the Norway-based telecom services major. Mr. Sood had taken over as the CEO of Uninor, Telenor's joint venture in India in November last year. The company was recently rebranded as Telenor India. Before that, he had served for about two years as the CEO of Grameenphone, Telenor's joint venture in Bangladesh. The company also announced the appointment of Mr. Sharad Mehrotra as Executive Vice-President and CEO of Telenor India, effective November 1. 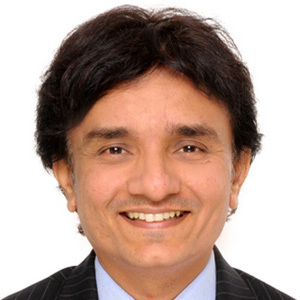 Mr. Mehrotra was Chief Marketing Officer of Telenor Myanmar, and was part of the Telenor India management team for more than four years from 2008. Telenor said all 13 of its markets were represented in its new executive management team to ensure faster execution of the group strategy and a closer connection to the customers. In addition, the functions Markets and Technology have been established to improve and develop customer experiences, and to secure that networks and IT systems are ready for future demands. The initiatives and partnerships in the digital arena will be gathered in a dedicated digital business area to better explore positions in new adjacent businesses, it said. "Telenor provides internet to almost 200 million subscribers and new customer needs are emerging. By more directly involving the business unit CEOs in delivering on the global strategy and priorities, we increase our ability to execute and create value," said Mr. Sigve Brekke, President and CEO of Telenor Group. The new team reflects the group's international footprint with nine members in the new team being non-Norwegians, a press release from the company said. Infrastructure major Hindustan Construction Company (HCC) today said it had won a prestigious contract worth Rs 942.58 crore from the Bhabha Atomic Research Centre (BARC) for constructing the first phase of an Integrated Nuclear Recycle Plant (INRP). The project is located in the coastal town of Tarapur, 130 km north of Mumbai, where BARC has an INRP to process spent fuels from existing nuclear power plants. The project is part of the first phase of a new INRP being built to process spent fuel from nuclear power plants including Haryana, Rajasthan Atomic Power Project (RAPP) 7&8, Kakrapara and future pressurised heavy water reactors (PHWRs). A press release from HCC said the scope of work included construction of fuel processing plant, lab buildings, disposable material block along with in situ fabricated stainless steel tanks & liners and electromechanical works. HCC has constructed 15 out of 24 nuclear reactors in India which is 65% of India’s nuclear power capacity. The company is currently constructing two more reactors at RAPP, Kota, the release added. Rear Admiral Ravneet Singh assumed command of the ‘Sword Arm’ of Indian Navy as the Flag Officer Commanding Western Fleet (FOCWF) this morning at sea on board aircraft carrier INS Viraat. An accomplished fighter pilot and qualified flying instructor (QFI), the Admiral has over 2500 hrs of flying experience on ten different type of aircraft. The Flag Officer hails from Jalandhar, Punjab and was commissioned in the Indian Navy on July 1, 1983. Rear Admiral Singh has commanded destroyers Ranvijay and Ranvir as well as frigate Himgiri. He has also served as second-in-command (Executive Officer) of destroyer Delhi and erstwhile missile boat Vijaydurg. He has commanded the Sea Harrier Training and Frontline Operational Squadron INAS 300 (White Tigers), and later also commanded the Naval Air Station INS Hansa. He has also served as the Defence Adviser in Kenya, Tanzania and Seychelles. At Naval Headquarters, he has served as Assistant Controller Carrier Projects (ACCP) and Assistant Controller Warship Production and Acquisition (ACWP&A) during which aircraft carrier INS Vikramaditya was inducted and commissioned in the Indian Navy. Before assuming the current assignment he was Flag Officer Goa Area and Flag Officer Naval Aviation. The Flag Officer, a White Tiger himself, is an alumnus of the Defence Services Staff College, Wellington and is the recipient of Nau Sena Medal for gallantry. 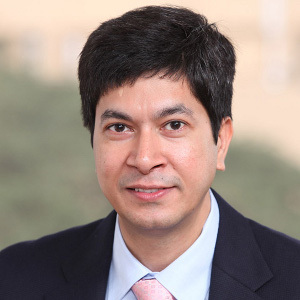 Mr. Rajiv Bansal, Executive Vice President and Chief Financial Officer (CFO) of IT services major Infosys Ltd., has resigned from his position and would be replaced by Mr. M. D. Ranganath at the close of business today. 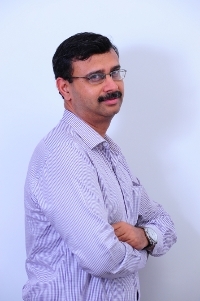 Mr. Ranganath has held several leadership positions during a tenure of nearly 15 years with Infosys. He is currently Executive Vice President and Head of Strategic Operations, responsible for Strategic Planning, Risk Management, Mergers & Acquisitions and Corporate Marketing. In earlier roles at the company, he was the Chief Risk Officer for over five years, implementing the Enterprise Risk Management Program and leading cost optimization initiatives as Senior Vice President in the Chairman’s office. Prior to working at Infosys, he held leadership responsibilities in treasury, planning and credit functions at ICICI Limited. Mr. Ranganath is a post-graduate (PGDM) from the Indian Institute of Management, Ahmedabad (IIMA), holds a master's degree in technology from the Indian Institute of Technology (IIT), Madras and is an Associate Member of CPA, Australia. Mr. Bansal will continue as an adviser to the CEO and the Board through December 31, 2015 in order to provide a smooth transition, a press release from the company said. IT services major Infosys Limited today reported a 9.8 percent year-on-year (y-o-y) growth in its net profit to Rs. 3,398 crore in the second quarter (Q2) of 2015-16 ended September 30. Announcing its financial results for the quarter, the company said the quarter-on-quarter (q-o-q) growth in net profit was 12.1 percent. The company said its Q2 revenue growth was the highest in 16 quarters -- 6.0% in US dollar (USD) terms and 6.9% in constant currency. In rupee terms, the Q2 revenue growth was 8.9% and 14.2% in constant currency. A press release from the company said revenues were Rs. 15,635 crore for the quarter. Its earnings per share (EPS) was Rs. 14.87 for the quarter. Liquid assets including cash and cash equivalents, available-for-sale financial assets and government bonds were Rs. 32,099 crore as on September 30, 2015 as compared to Rs. 30,235 crore as on June 30, 2015. The Board of Directors of Infosys declared an interim dividend of Rs. 10 per share. The record date for payment of dividend is October 19, 2015. The company said it spent Rs. 59 crore in Q2 towards corporate social responsibility (CSR) which is primarily being carried out through the Infosys Foundation, its philanthropic arm. The Infosys Foundation is engaged in several programs aimed at alleviating hunger, promoting education, computing literacy, improving health, assisting rural development, supporting arts and helping the destitute. According to the release, the company added 82 clients during the quarter, and the total number of clients crossed the 1000-mark. “We are experiencing a once-in-a-generation opportunity for a services company to help businesses maximize their potential with technology. From automation and AI helping to simplify and enable existing landscapes as well as build intelligent systems that help us solve our most complex emerging problems, to education and design helping us to rethink the human experience and helping uncover our most important horizons, a great services organization can truly partner with and amplify businesses,” said Dr. Vishal Sikka, CEO and MD of Infosys. "We had strong all-round growth during the quarter driven by recent initiatives around service differentiation, improvement in client mining and higher focus on winning large deals”, said Mr. U. B. Pravin Rao, COO, Infosys. “Increase in revenue productivity was significant, volume growth was robust, client metrics and utilization improved while attrition remained stable," he said. In its outlook for the fiscal year ending March 31, 2016, the company said it expected revenues to grow 13.1%-15.1% in rupee terms. 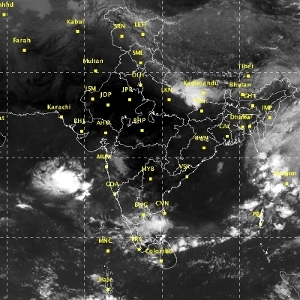 The depression over eastcentral Arabian Sea would move west-northwestwards and weaken into a well marked low pressure area during the next 12 hours, the India Meteorological Department (IMD) said here today. A bulletin issued by the IMD this morning said the depression had moved west-northwestwards with a speed of 4 kmph during the past six hours and lay centred at 0530 hours today near latitude 16.1 0 N and longitude 69.0 0 E, about 520 km west-northwest of Goa and 510 km southwest of Mumbai. Under its influence moderate rainfall at a few places would occur over Konkan and adjoining south Gujarat region during the next 24 hours. Strong wind speed reaching 30-40 kmph, gusting to 50 kmph, would prevail along and off Konkan, Goa and south Gujarat coasts during the next 24 hours, the bulletin said. The bulletin said sea condition would be rough and advised fishermen not to venture into deep sea along and off the south Gujarat, Konkan and Goa coasts during the next 24 hours. The international crude oil price of the Indian basket, as computed and published today by the Petroleum Planning and Analysis Cell (PPAC) under the Ministry of Petroleum and Natural Gas, rose to $ 50.68 per barrel (bbl) on October 9 from $ 49.81 per bbl on the previous day. In rupee terms, the price of the Indian basket increased to Rs 3283.36 per bbl on 09.10.2015 as compared to Rs 3245.72 per bbl on 08.10.2015, an official press release said. The rupee closed stronger at Rs 64.78 per US$ on 09.10.2015 as against Rs 65.16 per US$ on 08.10.2015, it added. Polling began this morning amidst tight security in 49 constituencies in the first phase of polling in the crucial five-phase elections to the 243-member Bihar Legislative Assembly after more than a month of hectic campaigning that was marked by sharp exchanges of barbs among the main political parties. The next four phases of polling will be held on October 16, October 28, November 1 and November 5. Counting of votes will be taken up on November 8. The elections are being seen as a major test of Prime Minister Narendra Modi's appeal to the voters and as a battle for survival for Bihar Chief Minister Nitish Kumar of the Janata Dal (United) and his foe-turned-ally, Rashtriya Janata Dal (RJD) chief Lalu Prasad. As many as 13572339 electors are eligible to cast their votes in today's polling in 49 constituencies, including 6322898 women. Eight of the constituencies that went to the polls today are reserved for Scheduled Caste (SC) candidates and one for Scheduled Tribes (ST). There are a total of 583 candidates candidates in the fray, including 54 women. Three constituencies have more than 16 candidates each. The Election Commission has made elaborate arrangements for today's polling. It has set up 13212 polling stations in the 49 constituencies. The Commission has deployed 49 general observers, 18 expenditure observers, 10 police observers and four awareness observers in these constituencies. Of the 49 constituencies involved in today's polling, the ruling JD (U) had won 29 in the last Assembly elections in 2010, while the Bharatiya Janata Party (BJP), then its ally, had won 13. The Rashtriya Janata Dal (RJD) had won four.